A security system is intended to protect your business or home, as well as your family and employees, but before it can do any of that, it needs to be properly setup. 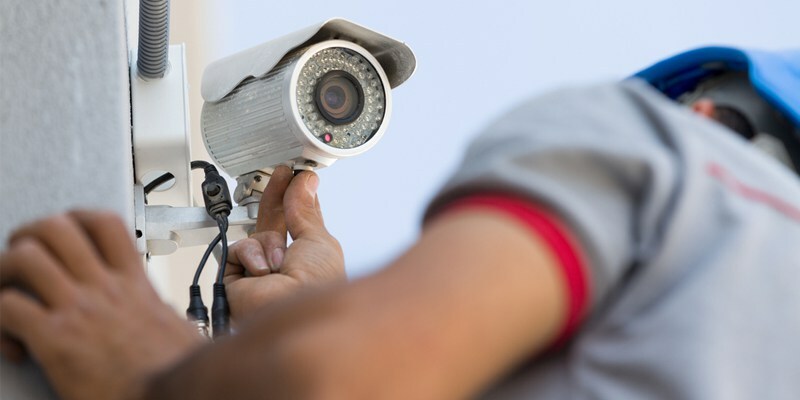 Professional security system installation guarantees that the job is performed correctly and any gaps in your home or business security will be identified and addressed. Not only will professional alarm installation provide your home or business with superior protection, it will also provide you with peace of mind, knowing that your home, business, family and employees are safe. The first component of any security system installation is prioritizing the unique security needs and challenges of the home or office. In order to fully protect yourself, your employees, and your family from theft, fire, carbon monoxide poisoning, and a number of other potential hazards, we must first understand the dangers at hand. This is where the experience and expertise of EMS Systems, Inc. proves invaluable. They have been installing, maintaining, and addressing the security needs of both residential and commercial security systems for over 35 years. This experience helps our qualified professionals address your unique security needs and provide you with not only security, but peace of mind, and the comfort that comes with knowing you are safe. You may only think that you need to purchase a few security cameras and hook them up to a DVR in order to protect your home or business. While video surveillance is a pivotal component of any comprehensive security system, it's hardly the complete package.What happens if there is a fire? What if a criminal covers up the security cameras or steals the DVR? EMS Systems, Inc. can help you take a multi-faceted approach to your security needs, ensuring that you're covered from every direction.The experienced installation professionals at EMS Systems, Inc. know how to address every scenario. They will create a secure environment that fully protects your home or business in the case of a security breach or other emergency. Ems Systems, Inc. specializes in alarm installation services for not only intrusion alarms and surveillance, but fire alarms and access control, as well. EMS also has you covered after the installation, as they provide monitoring and maintenance services, as well as networking. This allows EMS Systems, Inc. to protect your property and its occupants from a full array of hazards. How Does a Professional Installation Work? The security professionals at EMS Systems, Inc. have been addressing the security needs of customers in the Rochester area since 1981. Our experienced professionals will inspect and assess your risks, create a detailed plan for protecting your property, install a system that meets your needs, and service your system if your needs change. Our monitoring service keeps an eye on your home or business, day or night, providing you with superior protection and prompt response in an emergency. One of EMS Systems, Inc.’s professional will first examine your home or business and identify its potential hazards. He or she will check for any possible locations of entry, environmental hazards, and other security needs. For example, a security professional would notice that you have windows in your foyer within reach of your deadbolt, which can be unlocked by breaking a pane. They will notice a second story window that provides easy access to your home via a nearby drain pipe. They will also notice that you have a gas heater or range operating too close to hazardous material, or a water heater that isn't properly vented. All of these items will be noted and addressed as the technician begins creating a plan for your home. Once our experienced technicians evaluate your home or office, they will recommend equipment and options based on your unique security needs. Some homes may need only a few cameras, while others may need eight or more for complete coverage and effective monitoring. Motion detectors, glass break sensors, and control access are other options that will further protect your property and its occupants. Once you are aware of your unique risk factors and your options, you will be able to make an informed decision on a security system that meets your needs and falls within your budget. There are many options available, ensuring that you will find an option that works for you. Security systems and alarm installations require a deep understanding of both electrical work, as well as networking and connectivity systems. If you do not have experience with these, it is best to let a professional handle the installation. All of the most sophisticated equipment in the world won't help against a fire or intruder if it's not properly wired and ready to notify you and the authorities. In addition, many buildings have to follow explicit fire codes or a home owners insurance policy may have specific equipment requirements for a policy discount. Failure to adhere to your local building or fire codes may result in fines, penalties, or worse, like loss of insurance coverage altogether. At EMS Systems, Inc.’s we stand behind our products and our installation services, so you can rest assured that the job is done right the first time. Contact EMS Systems, Inc. today to schedule a consultation and discover your security and safety options. It is the first step toward providing your family or business with a safe and secure environment.